Through a solemn session, a forum, an exhibition and cultural events about inclusive recycling, RENAREC celebrated its 10 years organizing grass-root waste pickers. There was an account of the achievements made during this decade and of the challenges that RENARC will face in order to get the recognition and appreciation of the service that grass-root waste pickers provide. 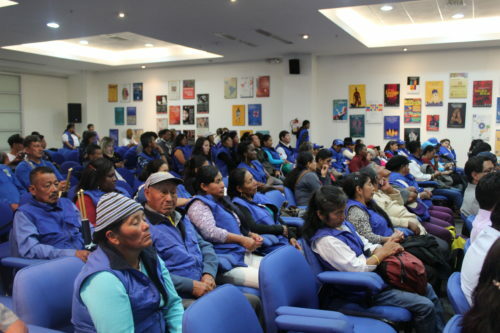 In the forum, there was a debate on the situation of environmental managers in Ecuador in relation to the way they are following toward the formal recognition as public providers of the recycling service. 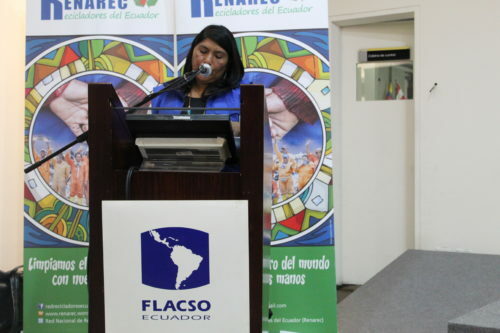 RENAREC is made up of about 50 waste pickers’ associations that are nationally organized, and gathers more than 1,500 waste pickers and their families in Ecuador. Read full article in Spanish.